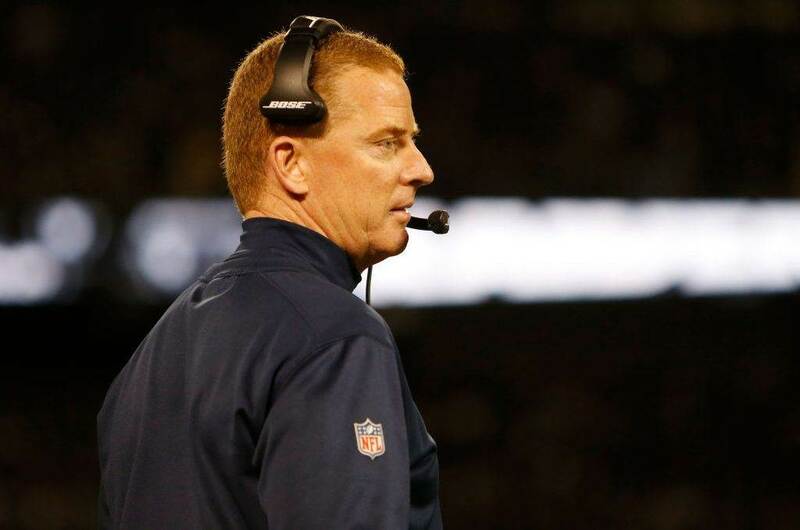 The Dallas Cowboys bounced back in a big way against the New York Giants in week two. Several players bounced back as well after struggling a bit in week one against the Carolina Panthers. Other players continued to struggle or saw a drop in play from week one to week two. Here are the Dallas Cowboys who saw their stock rise and some who saw their stock fall this week. Jaylon Smith has been really good to start the season and had an excellent game against the New York Giants on Sunday Night Football. Every day Smith is removed from the devastating knee injury he suffered in his final game at Notre Dame is a day closer to realizing the elite play that many expected of him before the injury. Pro Football Reference credited the starting middle linebacker with seven solo tackles and three assists. 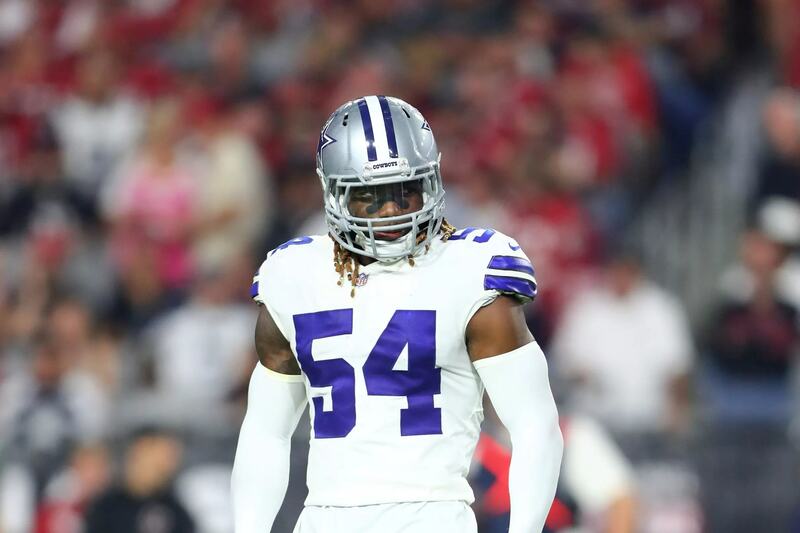 Pro Football Focus had Jaylon Smith with 3 stops -- plays that were a "loss" for the offense -- while becoming a stabilizing force for the linebacker position. The fourth year player who has made a successful move from safety to cornerback, Byron Jones has been everything the Dallas Cowboys hoped he'd be when they made him their first round pick back in 2015. Shame that it took so long to get him to cornerback. Against a potent New York Giants receiving corp, Jones only allowed one reception on five targets on Sunday night. He also had six solo tackles and three stops, per Pro Football Focus. The one reception that Pro Football Focus credited to Byron Jones was by Running Back Saquon Barkley and that catch went for zero yards. So on the night, Byron Jones allowed zero yards into his coverage areas. He's really good at cornerback and is taking to Kris Richard's coaching quite nicely. After much gnashing of teeth after the week one loss to the Carolina Panthers, Dak Prescott rebounded with a strong, confident performance in the Dallas Cowboys week two win over the Giants. He completed 64% of his passes for 160 yards and ran for 45 yards on seven carries. The passing yardage isn't huge, but on a night in which the defense was absolutely dominant, Dak Prescott made the plays that needed to be made for the Dallas Cowboys to win the game. He was great in the read-option on Sunday night, perfectly executing it for several really good runs. The throw to Tavon Austin on the third offensive play from scrimmage was a great throw that set the tone for the Dallas Cowboys the rest of the night. His yards per attempt and passer rating were both improved from week one and he just looked better. If Dak Prescott can continue to put together performances like this, the Dallas Cowboys will win a lot of games this season. After getting pushed around for much of last week's game by Kawann Short, rookie Connor Williams rebounded with a really nice game. Williams didn't allow a pressure all night and the offensive line was much better as a whole. The unit didn't allow a sack against the New York Giants. According to Pro Football Focus, Elliott's biggest run of the night came behind Connor Williams at left guard. Williams is an important piece to the puzzle and if he's playing well, it will provide better pockets for Dak Prescott. 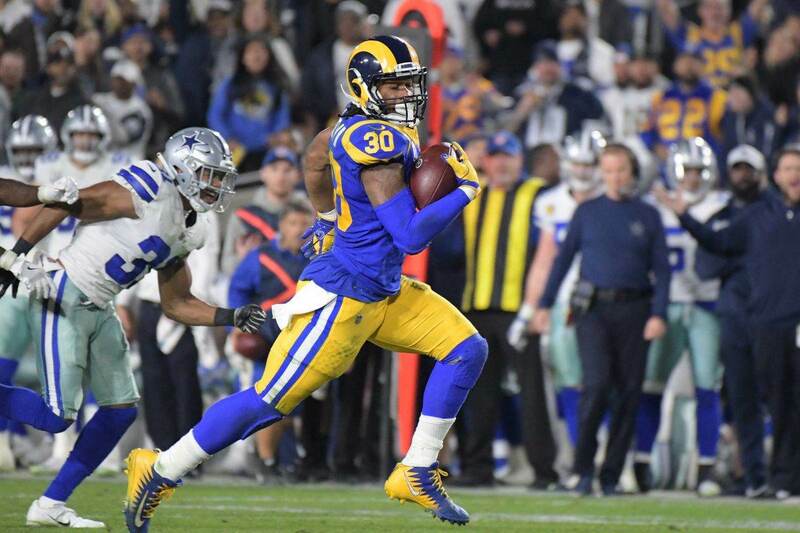 After seeing only 10 snaps in week one, Tavon Austin was on the field for nearly twice as many and made them count as he ended with two receptions for 79 yards and had one rush for 15 yards. That's 94 total yards on three touches. The "Tavon Effect" was in full force last night as the team used his speed to their advantage. Even when the ball didn't go his direction he had an effect on the game. Seemingly the odd man out after the Dallas Cowboys selected Leighton Vander Esch in the first round of the 2018 NFL Draft, Damien Wilson had an excellent game in his limited playing time. Wilson played 17 defensive snaps and 22 snaps on special teams and was credited with three solo tackles, a sack and a forced fumble. He's was excellent on Sunday night in the snaps he was given. It's unlikely that we'll see a big snap increase for him with the talent ahead of him on the depth chart, but he provided very valuable snaps when given the opportunity. Terrance Williams who has been a starter for several years now with the Dallas Cowboys, and even started week one, saw his snap count drop from week one to week two. After seeing 19 snaps against the Carolina Panthers, he was onlyon the field for 10 snaps in week two. There's been speculation as the Dallas Cowboys have resigned former Wide Receiver Brice Butler that Terrance Williams could be the odd man out of the wide receiver room. That snap count is either an indication of his status on the team or the game plan they had against the New York Giants. It will be interesting to see what happens with Williams moving forward. A week after allowing four pressures, most along the offensive line, La'el Collins allowed three more pressures on Sunday night against the New York Giants. He was the only offensive lineman to allow multiple pressures and appeared to struggle with the Giants blitz and stunt schemes. The New York Giants had rushers go unblocked at times on Sunday night. Dak Prescott wasn't sacked against the Giants, but he had to avoid some pressure on that side to throw the ball away. Collins has to be better against the pass rush going forward to keep Dak Prescott clean and able to play better. 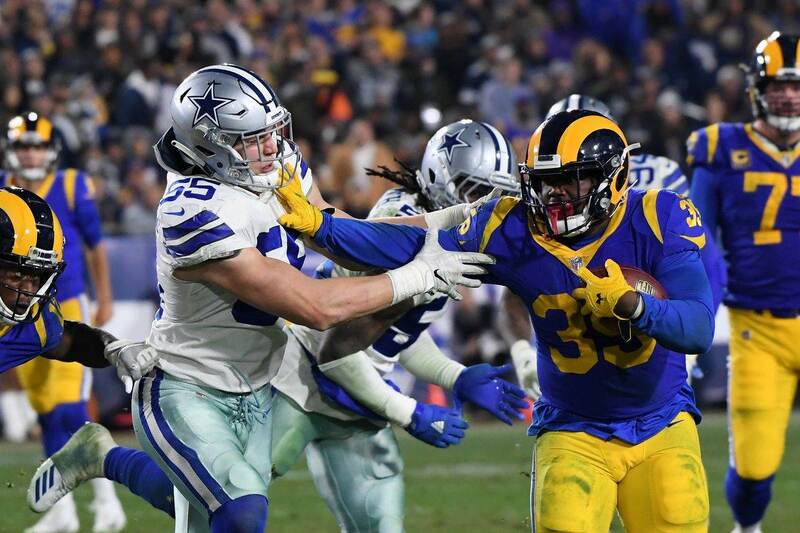 The Dallas Cowboys' tight end group of Geoff Swaim, Blake Jarwin, and Rico Gathers did not have a single catch to their name on Sunday night. There were opportunities that were missed, like the Dak Prescott overthrow to Rico Gathers in the end zone. However, not being able to come up with a single catch against the Giants is a bit surprising. The Cowboys Nation Twitter account asked David Helman from DallasCowboys.com to look up when the last time the Dallas Cowboys tight ends finished a game without a reception. Mark Lane from WFAA.com and the Texans Wire found the information. It's unbelievable that there was a game played in which Jason Witten was around for that he didn't have a reception, and yet, there it is. Were there any players that moved the needle in either direction for you? Will Cowboys Safety Xavier Woods Return This Week?